Squanto was a Native-American from the Patuxet tribe who taught the pilgrims of Plymouth colony how to survive in New England. Squanto was able to communicate with the pilgrims because he spoke fluent English, unlike most of his fellow Native-Americans at the time. How Did Squanto Learn to Speak English? Squanto learned to speak English after he was captured by English explorers and taken to Europe where he was sold into slavery. Much of Squanto’s life is a mystery and historians have a hard time agreeing on the little information that does exist. 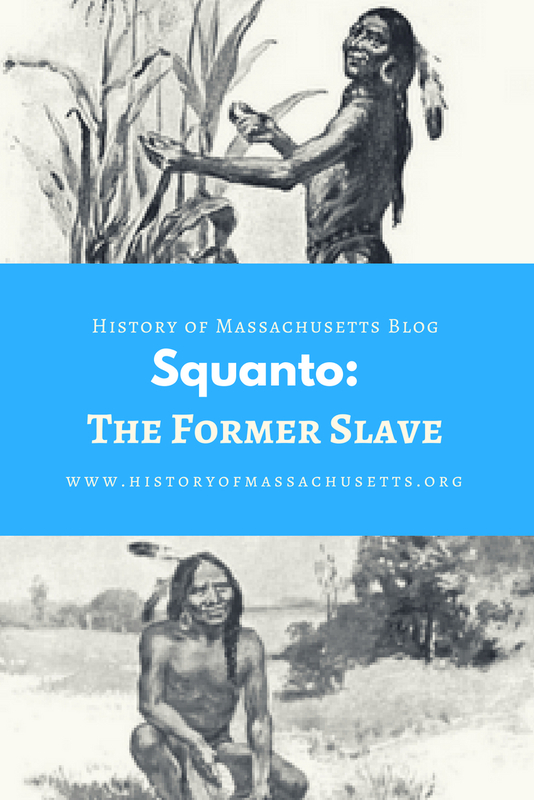 It is speculated that Squanto, whose real name was Tisquantum, had been enslaved a number of times during his lifetime, although many historians disagree on this fact and believe he was only captured by the English once. According to some historians, Squanto was first captured as a young boy in 1605, along with four Penobscots, by Captain George Weymouth, who was exploring the coast of Maine and Massachusetts at the request of a colonial entrepreneur named Sir Ferdinando Gorges. According to the book The Invented Indian, many historians don’t believe Squanto was among those five Native-Americans because Maine was not Squanto’s home and because Rosier identified the names of these Native-Americans he captured: Tahanedo, Amoret, Skicowaros, Maneddo, Saffacomoit, and the name Squanto was not among them. As it was many years after the fact, some historians think Gorges was simply mistaken and confused Squanto with another Native-American when writing the text. The Native-Americans captured in 1605 were taken to England where they were lived for nine years before Gorges reportedly arranged to send them back to New England. Most historians do agree that in 1614, Squanto was captured in Massachusetts, this time by Captain Thomas Hunt, a lieutenant for Captain John Smith, who lured him and 23 other friendly Native-Americans on board Hunt’s ship with the promise of trade. Once on board, Hunt locked them up below deck and sailed off with them to Malaga, Spain where he sold them off as slaves. Although some sources state that Squanto ended up in the hands of Spanish friars who liberated him and allowed him to live with them until 1618, when he then made his way to England and reunited with Gorges, this is not true, according to the journal of Mayflower pilgrim, William Bradford. A few months later, in March of 1621, the Wampanoag put Squanto’s English skills to the test when they met with a struggling colony of pilgrims they had been watching at Plymouth that winter. A tribe member named Samoset, who spoke broken English, had befriended the pilgrims and after learning of the deaths and famine they suffered that winter, introduced them to Massasoit, Squanto and the rest of the tribe. Squanto and the pilgrims remained friends for the rest of Squanto’s life. They went so far as to invite Squanto to live with them at Plymouth Plantation and, in August of 1621, the pilgrims even embarked on a rescue mission to save Squanto after he was captured by a nearby tribe. With Squanto’s help, the pilgrims grew enough food to survive the following winter, prompting them to invite Massasoit along with 90 of his tribesmen and Squanto to the first Thanksgiving feast in 1621. It is not known if the Thanksgiving feast became a reoccurring celebration for the pilgrims. There are no other accounts of the pilgrims holding any more harvest celebrations after 1621. It is possible that the feasts happened, but if it did it wasn’t recorded. 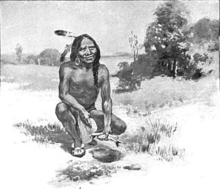 As helpful as Squanto was, he also had a reputation for being power hungry and manipulative. The pilgrims knew this and, in the summer of 1621, even went so far as to appoint a second Native-American adviser, Hobbamock, possibly to assist Squanto or to keep him in check. Fearful that he was losing his position of power, Squanto decided to exploit the fear and distrust still lingering between the colonists and the Native-Americans to gain power as a native leader and get revenge against the Wampanoag for his previous captivity. Squanto also circulated a rumor that Massosoit was conspiring with his rivals, the Narragansett and Massachusett tribes, to attack the colonists. After the colonists spoke with Pokanoket tribe and learned the rumor was false, both the colonists and Massasoit were furious with Squanto yet Bradford refused to hand him over to the tribe, fearing that they would kill Squanto. 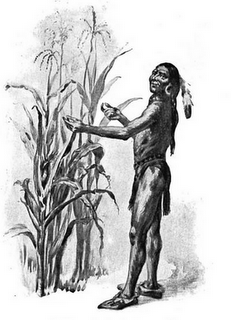 How and When Did Squanto Die? Squanto was later buried in an unmarked grave in an unknown location. Can you clarify what is meant by the “can of peas and bread” statement by James Rosier in 1605? The best I can tell, “cans”, at least as we know them today, were not developed until 200 or so years later. What was James Rosier referring to? I’m not sure what it means, Mike. Perhaps it’s another word for cup or some type of container? He says they ate the food back on the shore and then brought “our can” back so that’s my best guess. Amazing article one of the best I’ve seen on the subject!